This business incubator helps entrepreneurs produce, package and market food products in an industry that’s notoriously competitive—especially for those who face racial and social barriers. If you’ve ever eaten Mike’s Famous Michigan Bean Dip, enjoyed a sweet treat from Luna Delights, or savored Cave-Aged Gruyere from The Cheese Lady, you’ve been part of just a few of the success stories that Can-Do Kitchen has helped write. It’s the place local entrepreneurs go when they’re ready to grow their food business. 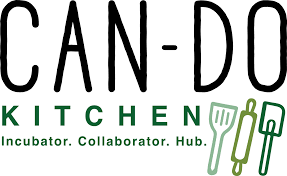 Can-Do Kitchen is an incubator, collaborator and hub for people who create and sell food products. “We break down barriers that keep people from starting their own businesses,” said Sheena Foster, the non-profit organization’s director of operations. These include racial, economic, gender and language barriers. Through their Can-Do Camp and commercial kitchen rental, Can-Do Kitchen makes starting and running a food-based business accessible to those who might not otherwise have access to such resources. The organization was founded in Kalamazoo 10 years ago as a program of another nonprofit. Today, Can-Do Kitchen’s mission is to build foundations and remove barriers to food business ownership through experiential education and access to an 1,800-square-foot commercial kitchen and other resources. 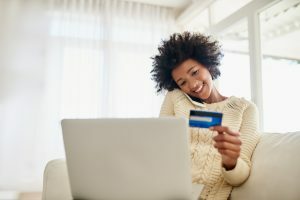 “Just as it’s Can-Do Kitchen’s purpose to advance entrepreneurship through education and opportunity, Consumers tries to do likewise for our members on their journeys to financial wellness,” says Consumers’ Downtown Office Manager Clarence Lloyd. Those who already have a food business and those who aspire to have one find all the guidance they need at Can-Do Camp. This 12-week incubation course teaches people about the requirements and best practices for starting a food business. Campers come from all backgrounds. Some already run a catering business or a small cottage business. Others simply show up with a tasty idea and a desire to make it into a profitable business. Can-Do Kitchen works with people at all levels of experience. Can-Do Kitchen also hosts food business development workshops and tours that are open to the public. As part of their focus on breaking down barriers, Can-Do Kitchen works with those who need translation. All resources are available in Spanish. The organization also arranges for translation on a one-on-one basis and for groups. For example, they recently provided a workshop in Arabic for a group of Syrian refugees. “We also provide scholarships for those with income limitations and marginalized identities to create access they might not otherwise have,” said Sheena. To volunteer, contact Can-Do Kitchen online or call 269-492-0261. Can-Do Kitchen also relies on donations to support programs, keep the facility running and provide scholarships. You can donate here. We’re so proud of the work Can-Do Kitchen does for local food entrepreneurs, and we’re honored to be your credit union! Building relationships to help you succeed is what our business development managers do best. Call 800-991-2221. 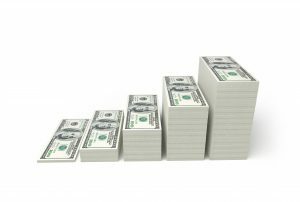 We’re here to help you grow your business! Excellent description of the many facets of CDK and their positive role in the Kalamazoo community.